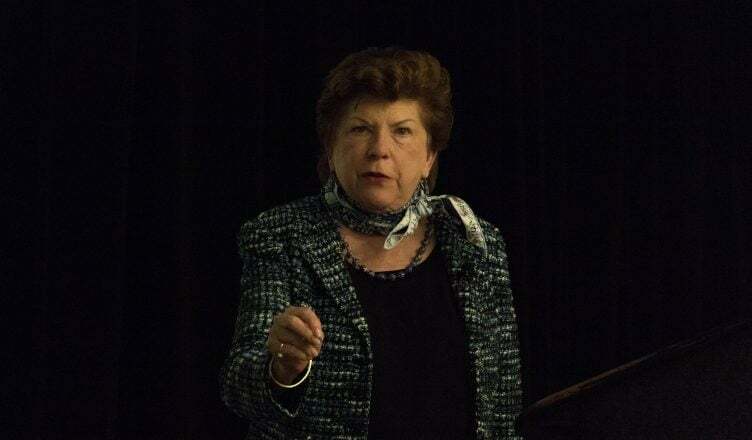 California gubernatorial candidate Delaine Eastin delivered a keynote address to members of the UCSD College Democrats at their first meeting of the academic year yesterday evening. During her speech and in a sit-down interview with the UCSD Guardian prior to the event, Eastin, a former California Superintendent of Public Instruction, emphasized her strong background in education and her desires to make preschool through university accessible for all Californians. Eastin began her prepared remarks by encouraging participation in government, noting that “idiots” originally referred to those who did not contribute to politics and declaring that “to lose faith in government means to lose faith in society.” She then went on to summarize her platform: clean air and water for everyone, healthcare as a right, affordable housing for all, and quality, economical education from preschool to graduate school. Throughout the duration of her speech, Eastin highlighted her experiences as a member of the Union City Council and California Assembly, as well as her fight to protect the rights of immigrant students as state superintendent. She additionally advocated for education as a civil right and long-range planning on water, housing, and transportation and denounced “big tobacco, big oil, big pharma” and fracking. In light of President Donald Trump’s recent decision to eliminate the Deferred Action for Childhood Arrivals policy, Eastin vowed to protect undocumented students and added that as governor, she would use the Tenth Amendment to do so. On the topic of increased enrollment across the UC system, the former city councilwoman explained that she supports adding students to UC campuses but believes that in addition to expanding existing UC campuses vertically, more schools should be built to accommodate new students. In order to make college more accessible, Eastin also plans to reduce tuition for UC, CSU, and community college students. Eastin further stated to the Guardian that she plans to increase spending at all levels of education and supports intensified oversight of the UC system.